We will handle all of your window cleaning needs ranging from sun rooms, skylights and store fronts. Whether you are in preparing for a special gathering, in the middle of spring cleaning or you would simply like to make a good impression to your clients by improving the look of the windows of your office, we will do it for you and you no longer have to worry. We provide professional window cleaning London. We are your one stop cleaning company. We offer one time cleaning services as well as regular cleaning contracts. We have been in the industry for many years, and with this, we have gained all the experience that we need in order to provide you with the best service. Are you looking for professional and affordable window cleaning services in London? We are devoted to providing an efficient and quick resolution to your window cleaning needs. We treat each of our clients differently because we understand the differences in the needs of individuals. We are different from all other cleaning companies because we listen to what our customers need. We ensure that all their instructions and special requests are carried out to their satisfaction. 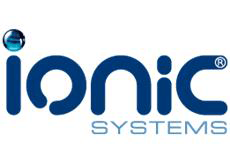 After having an understanding of what our customers need, we perform the task requested. The Fast Window Cleaning ensures that our crew performs thorough cleaning with the use of proper tools and techniques accompanied by years of experience, comprehensive knowledge and skills. We provide a wide range of cleaning services depending on your needs. damaging it. We can restore the elegance and the beauty of your windows using various strategies. Contact our friendly team on 020 3322 8261 for more information about out window cleaning services in London or fill out our quick and easy online booking form. Get a free estimate today. With the hectic lifestyle that almost every individual has nowadays and most of them would not have the luxury of time. Carrying out household chores may not even be done as frequent as wanted due to the busy and tiring schedule that a person may have to go through everyday. Window cleaning is one of those household chores that are usually tedious and difficult to perform. We can provide you with your cleaning needs. We perform both interior and exterior cleaning of your windows. While we do our job, you can run your errands or you can go about your daily routine with the job that you have. You can even go shopping or have your car cleaned while we take care of your windows. You can attend to your kid’s soccer game or even carry on with your other household chores. We take pride in the quality service that we give our customers whenever it comes to window cleaning. We ensure that our customers are satisfied and contented with all the work that we do. We also make sure that we build a long and lasting relationship with all of our clients. Our expert window cleaners are well trained and highly skilled in carrying out their tasks. They are equipped with the necessary tools to be used when cleaning your glass and are also able to carry out the cleaning required to reach windows on higher parts of the home. Our experts can do it manually or the traditional way of cleaning as well the latest techniques depending on what is needed to get the job done with the highest quality. We offer a wide range of affordable prices depending on your budget as it would also depend on the location of your homes, the accessibility of your windows and its height. You can acquire our services either as a one time cleaning or regular maintenance. We highly recommend that you have your windows cleaned regularly to maintain the complete aesthetics of your home. Not only does it give a good impression to your visitors, it also provides you with a cosy feeling and you can enjoy the view of the sky or your landscape with clear windows. Improve the looks of your business building with our help. See you car looking like a brand new ride in no time. We use only the finest equipment and proven methods. Spruce up the windows of your home with our service. We protect your investment through expert cleaning. The Fast Window Cleaning, utilises the most effective techniques and window cleaning equipment necessary to provide our customers with quality services. Our cleaning company also complies with the Health & Safety Regulations as a form of preventive measure against possible accidents. All throughout the years that we are in service, we have never encountered any form of accidents because we always make sure that we abide by the rules and safety guidelines. We always check the location and the environment to ensure the safety of our workers and to also avoid causing any form of risk to our clients. 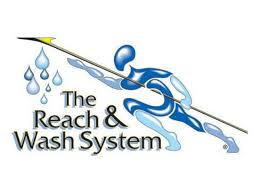 We also observe the Reach and Wash system for any job that is above 6 meters. With these types of system, telescopic poles are utilized to help our window cleaners carry out their tasks even if the window to be cleaned is at great heights. With the system that we use, our window cleaners can reach up to 60 feet without the utilisation of ladders to carry out the tasks. This system enables us to clean residential and commercial windows without the use of ladders which have been known to be one of the causes of accidents. This system allows us to clean up to the height of 60 feet. We use water that is 100% deionised which has been proven to effectively absorb dirt and we have used this in cleaning windows and frames of various sizes. With the use of this, we no longer have to use strong chemical agents when carrying out our cleaning services. The children had a go at the windows with the crayons. I could not believe what had happened! Such bad timing too, right before I was expecting the family to come over for a nice dinner.I found this company and called them as I was desperate. I am happy to say I was not disappointed! The scribbles are gone and the window is crystal clear. Your team are reliable, professional and always take pride in their work! They’re hard working and totally reliable, fun to deal with & people I trust. Highly recommended. I was very impressed with the two guys who came to do the windows. They were polite and hardworking. They were very conscientious in the work they did, stopping to check if the windows were thoroughly clean as they went along.